Total Wealth Management is incorporating all aspect of your financial life to provide a complete picture. 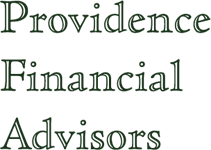 PFA acts as your financial “quarterback” to ensure all the areas that can impact your financial goals are working together and areas that need to be addressed are. To accomplish this we start with the planning process discussed under the Financial Planning area of the site. As part of this process we incorporate an aggregation services that allows you to see all your accounts in one place and the impact they have on the progress to your goals. 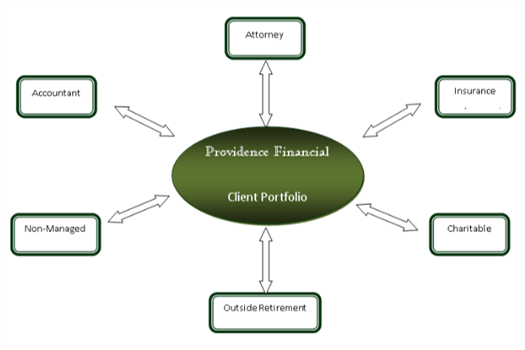 Once the plan is in place, PFA implements the investment portion of your plan as outlined in the Investment Management section of this site. The investment portfolio information along with all your other financial accounts are updated daily to give you a complete financial picture. You have access to this information at all times through the client portal.